Pearl Merchant’s Home, 2009. Photograph by Seth Thompson. Author’s copyright. My essay entitled, “The Jazeera Al Hamra Digital Heritage Project: A Model for Digitally Preserving the Heritage of the Arabian Peninsula” has recently been published in The International Journal of the Inclusive Museum. The digital environment offers an opportunity of establishing a museum model that supports contemporary museum thought in regard to collective memory strategies, inclusivity, and equity of tangible and intangible cultural heritage. Al Jazeera Al Hamra, a former coastal village in Ras Al Khaimah in the United Arab Emirates, was abandoned at the time of the formation of the country in the late 1960s and 1970s. It is considered one of the last traditional fishing and pearl diving villages in the nation. As the buildings are now only remnants of a time past, not only does the architecture need to be documented and mapped, but also the stories and traditions of the people who once lived there need to be recorded. 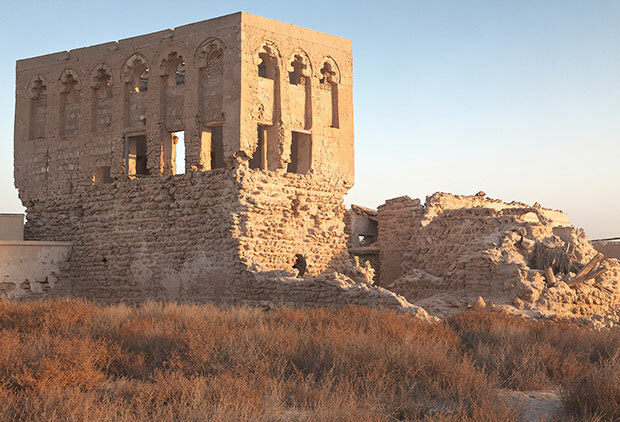 Creating a web-based virtual environment, which documents both the tangible and intangible cultural heritage of Al Jazeera Al Hamra can provide a cohesive physical and social record for future generations after the buildings and the people who had inhabited the town are gone. Using Al Jazeera Al Hamra, an at risk site, this paper presents a model for digitally preserving and re-presenting tangible and intangible cultural heritage of the Arabian Peninsula and beyond. Thompson, Seth. “The Jazeera Al Hamra Digital Heritage Project: A Model for Digitally Preserving the Heritage of the Arabian Peninsula”. The International Journal of the Inclusive Museum, Volume 8, Issue 3, September 2015, pp.33-46. Article: Print (Spiral Bound). Published Online: June 19, 2015 (Article: Electronic (PDF File; 1.394MB)).